Private detective Duncan Andrews is used to dealing with things strange and bizarre. Luckily, he's got friends to back him up, including Gina, a witch, Robbie, his boyfriend, and Daisy, their zombie bulldog. A new case brings Duncan face-to-face with a demon named Asmodeus. If that wasn't enough, one of the original Gorgons wants revenge against Duncan for killing her sister. Duncan and his team must pull out all the stops if they're going to get through this alive. So, if you've read any of my editor's reviews before, you'll know that horror is not my thing. Supernatural/paranormal...yes, I can go with some of that, as long as it's not too scary. I'm a complete wuss when it comes to scary stuff. Also, I've not read the first five books in Stephen Osborne's Duncan Andrews Thrillers series. But you know what? None of that matters, because Stephen's storytelling is pure brilliance. There are plenty of subtly placed background details in Cold as the Clay to give new readers the context of this instalment, and it stands entirely on its own. That said, now I've read Cold as the Clay, I recommend you do as I will be doing and read the first five books (published by Dreamspinner). Of course, reading them in the wrong order might spoil some elements of the over-arching plot lines, but it won't ruin your enjoyment. 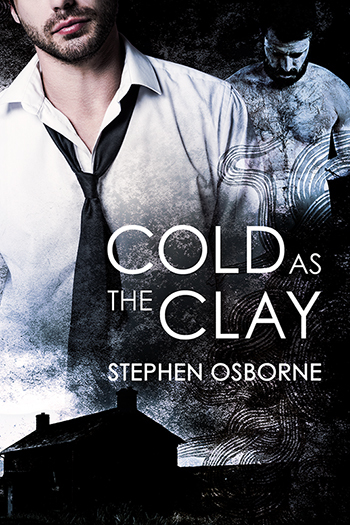 Cold as the Clay isn't really horror (it's a thriller, Deb, the clue's in the series title...). True, there are events in this novel that would make for some corking (gruesome) scenes in a movie, and there are a fair few of (what I these days know are called) 'jump scares', which is so clever - no scary music or lighting tricks, just building up the suspense with words and characters' observations. And the characters... Obviously, by book six, the author knows the characters intimately, resulting in natural interactions, believable dialogue and touching little nuances. Duncan can be quite serious, but is adept at well-timed sarcasm (which I love). Robbie, I get the feeling, can be quite a handful. Gina is all of the awesome. I need Gina in my life. But my favourite character of all is Daisy - Duncan's zombie bulldog. She's loving and fierce and typical of her kind, undead or otherwise. Her dinnertimes are, um, grim, but even a zombie dog's gotta eat, right? So that's the dream team - our supernatural crime-busting quartet. Then there are the baddies: a demon (Asmodeus, mind you), a Gorgon and her sidekick Anton. He reminds me of the time I had a sliver of apple skin stuck between my teeth for an entire day. He's a bit more pernicious than that, but you get the idea: he's a nuisance. As always, it's impossible to do justice to a story in a review that is necessarily sketchy so as not to spoil anything, but take a look at that blurb and tell me this isn't a perfect read for the season. Cold as the Clay is book six in The Duncan Andrews Thrillers series (and there may well be a seventh instalment on the way, squeeee). Available from Beaten Track and all the usual places. Stephen Osborne lives in northern Illinois with a border terrier mix named Miss Christine Daae. 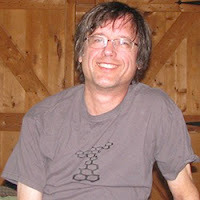 He enjoys Broadway musicals, board games, and British television, especially Doctor Who. He recently wrote a Doctor Who audio adventure for subscribers to Big Finish Productions Doctor Who range called The Smallest Battle.